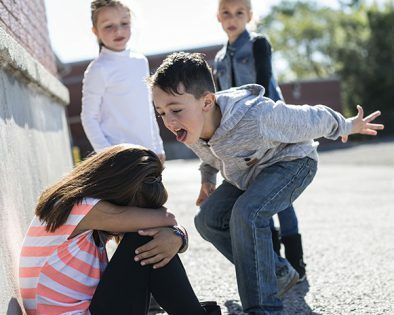 Bullying is a serious and under rated problem. It is not a normal part of growing up, or, aging and should not be tolerated. Bullying comes in many forms. Direct bullying includes threats, hitting, taking or destroying possessions and name calling. Indirect bullying may be gossiping, shunning, saying or writing (texting) bad things and internet harassment. Your child, or older family member, may become withdrawn, depressed, wary, schools grads going down. Be aware and ask questions, let them know it is not their fault. Let them know you are on their side and will help in any way possible.